My study abroad experience in the Czech Republic during the fall semester of 2017 achieved the global perspective achievement of the Bachelor of Science in Business Administration. 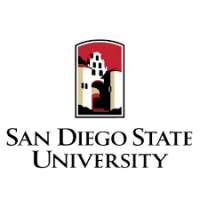 I took four upper division business classes and one general education class at the Czech University of Life Sciences in Prague as a direct enroll program with SDSU. I travelled to 13 countries during the course of the semester, including the Czech Republic, and gained a global perspective of Europe and many different cultures. The other countries I travelled to included Spain, Hungary, Slovakia, Austria, Belgium, Germany, Denmark, Italy, Netherlands, Poland, Switzerland, and the United Kingdom. In the Erasmus program at the university, I came in contact with many students from all different countries with very different cultures, such as Turkey and Ireland. I learned a lot about the similarities and differences between universities in America and Europe and their viewpoint on business practices. © 2019 • All content within this entry is strictly the property of Baylie Free, and is not for public use without permission.